Highlights of the 2011/12 season include a series remembering the composers of Terezín and the metaphysical contrast present when art is produced in the face of life's greatest struggles; the 92Y debut of Special Guest Sting, who will participate in the World Premiere of a new work by Stanley Silverman for The Kalichstein-Laredo-Robinson Trio; period instrument performances by Quatuor Mosaïque, Paul O'Dette, and Steven Isserlis and Robert Levin, which are juxtaposed with contemporary interpretations by the Tokyo String Quartet, Midori, Daniel Hope, and other recitalists; a concert of highly-structured preludes and fugues with pianist Alexander Melnikov, which in turn contrasts an exploration of dance-inspired keyboard works by Kirill Gerstein; an outstanding assortment of family-friendly events; and numerous programs blending Eastern and Western traditions. 92Y has been one of New York City's most important artistic and cultural centers since the 1930s, and this schedule highlights the best of that long tradition in one of the city's most acoustically inviting halls. The product of Ms. Arie-Gaifman's multi-faceted approach to programming, the season features longtime collaborators, debut artists, cross-genre events, thought-provoking special series, premieres of new works, underplayed masterworks, performances for children, important international artists rarely heard in New York, and much, much more. 92Y's chamber music series returns for a series with fascinating contrasts of repertoire. Led by artistic director Jaime Laredo, the first concert is a life-affirming performance marking the 10th anniversary of 9-11. The program features the 92Y debut of Sting, who will be the special guest for the World Premiere of Stanley Silverman's Piano Trio No. 2, "Reveille," with texts drawn from Shakespeare's Cymbeline. The work was commissioned by the composer's son, Ben Silverman, and is dedicated to Ben's life-long friend Herman Sandler, who died in the 9-11 attacks. Sandler was a founding partner in the investment firm, Sandler O'Neill and Partners. Among his many philanthropic interests, Sandler was a significant supporter of classical music in New York and abroad, and a principal supporter of the Rainforest Fund, founded by Sting and Trudie Styler. The commission is Silverman's second for The Kalichstein-Laredo-Robinson Trio and marks the ensemble's 35th anniversary. Works by Mozart, Beethoven, and the world premiere of Silverman's Piano Trio No. 2, "Reveille"
Tickets will be available to subscribers beginning March 13th. For more information or to become a member please visit www.92Y.org/Concerts. A limited number of tickets have been allocated to sting.com fan club members, which will be available for purchase in August. We will post details at www.sting.com once available. 92nd Street Y's unique fusion of community and culture makes it the only place of its kind in the world. 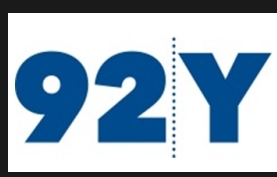 92Y is a nonprofit community center, performance stage and lecture hall; a literary salon and home for artists; a school, outreach organization and summer camp; a gym, a residence and more. 92nd Street Y, a proudly Jewish institution since its inception in 1874, has become a community of communities, welcoming people of all ages, races, faiths and backgrounds. Now serving more than 300,000 people each year in its New York facilities, 92Y also reaches millions of "virtual" guests around the world through its website, satellite broadcasts and other electronic media. Committed to making its programs available to everyone, 92nd Street Y awards nearly $1 million in scholarships annually and reaches about 7500 public school children through subsidized arts and science education programs. For more information, please visit www.92Y.org.